Only clubs officially registered with the Saskatchewan Powerlifting Association are listed here. If you are interested in registering a club, please complete this Club Registration Form. Wrench Fitness was started with the goal of making fitness available to the community of Martensville without having to drive far to get it. Wrench Crew powerlifting club meets together every Sunday. 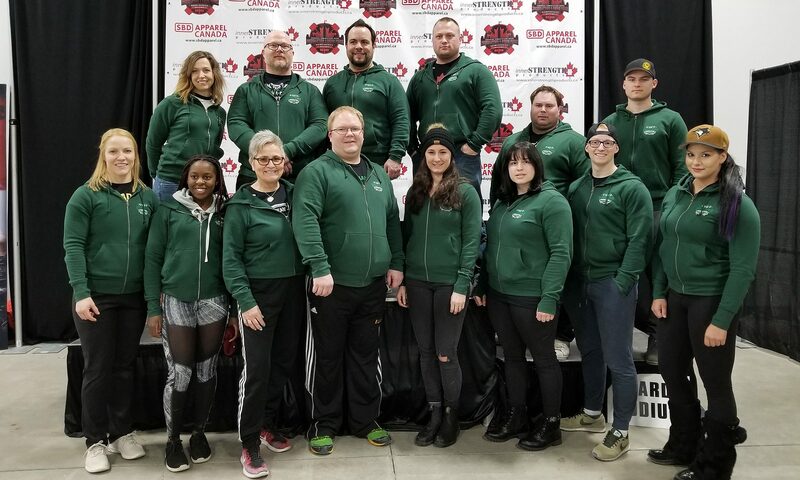 Unparalleled is run out of Team Red Goat Training Centre in Moose Jaw and has everything the aspiring powerlifter needs – six competition style racks, thousands of kilos of plates, competition bars, etc. The club trains together in the evening on weekdays and around noon on weekends. Foundation Fitness is a new 6,500 sq. ft. heath & fitness training facility. The Foundation team welcomes athletes from all levels and ages to join in our positive, team environment. We currently have 9 lifting stations, 2 deadlift platforms, 1 weight lifting platform, 2 StrongArm combo racks and a full set of StrongArm kilo plates. Mettle is home to over 80 competitive strength athletes and is a 7000 sf strength playground offering 7 IPF spec combo racks, competition plates and bars and everything needed for powerlifting, strongman and olympic weightlifting. Our expert coaches and training partners are ready to push you to your strength and fitness goals through our customized memberships (with or without coaching). Trench Fitness is a state of the art strength training facility. We offer 24 hour access memberships and 16 total lifting stations, including 2 ER competition racks and a full set of Eleiko competition plates. Synergy Strength is a multi disciplinary strength facility focused on supporting strength sports. Olympia In Depth is a multi use facility with 3 competition platforms, kilogram plates and competition racks and bars, along with a high performance training area and traditional commercial gym equipment. The PAC is a 12,000 sq. ft. full service fitness facility. The club welcomes athletes from all levels of sport and variety of athletic backgrounds. PAC Power Hours run 2-4pm every Saturday – anyone interested in powerlifting is welcome and encouraged to attend.